2019 will be our first visit to the Australian International Airshow at Avalon Airport, Melbourne. So, we can’t speak first hand but here is what we are expecting from information gathered from many sources. It is held biennually and has a strong focus on military aviation. The week starts on the Tuesday with the trade show running through to Friday when it opens up to the public from 2pm. Those of us with Gold Passes may enter from 9am on the Friday and experience the last morning of the trade days. The full public show is open at 2pm and flying goes on into the evening with displays against the setting sun and a spectacular display of pyrotechnics finishing up with a wall of fire. Saturday we are leaving as an optional day but return as a group on the Sunday to finish exploring the ground displays which include The Australian Great War Association, Geelong Military Re-enactment Group, Light Horse & Field Artillery Museum, Victorian Military Vehicle Corps, Wartime Living History Association Inc., 39th Battalion - Kokoda Historical, and we experience the last flying displays. There is also the Drone Zone – a showcase hall featuring manufacturers, drone flying schools, repairers, suppliers and retailers along with service providers demonstrating how drones and robots can change your business applications. With 3 days of Free to Attend conferences and seminars featuring expert presenters, the Avalon Airshow – Drone Showcase offers business ideas and solutions. These sessions need to be booked so if you are interested bear that in mind. Here is what they say on the Australian International Airshow website…. The boom and zoom of vintage warbirds and the roar of attack helicopters… A high voltage array of combat aircraft takes centre stage at AIRSHOW 2019. See the most potent assets in our air defence arsenal strut their awesome stuff at Australia’s world-famous aviation spectacular. Marvel as jet fighters, strike bombers and heavy lift leviathans are joined by swarms of attack helicopters, from home and abroad, for a series of breathtaking routines and simulated combat manoeuvres. The event also features the best collection of aerobatic daredevils ever to be gathered together for an Australian air show. Their high flying antics and precision manoeuvres promise to leave you spellbound. 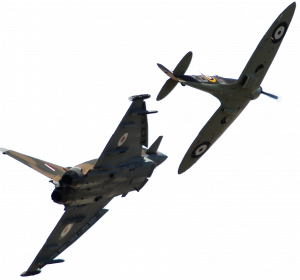 There will also be historic aircraft from the classic years of aviation and the most impressive collection of World War II aircraft ever to soar skyward at Avalon. The aerospace showcase will feature the technology of tomorrow with special insights into space exploration and man’s foray into the final frontier. Hundreds of the world’s leading innovators will display their latest and most exciting aerospace, aviation and defence products and inventions. It is looking like an amazing show. 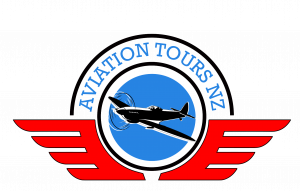 We will follow on for a week visiting the RAAF Museum, B24 Liberator Restoration Museum, Shrine of Remembrance, Australian National Aviation Museum, Naked Racer Café with antique motorbikes, and the Old Aeroplane Co at Tyabb.